The NEMBC Youth Media Conference is an annual event inviting young people from culturally diverse backgrounds to share experiences, learn new skills related to media making, learn from industry experts and create national networks with fellow community content makers, community leaders and those with an interest media and journalism. It’s the only conference of its kind in Australia. The NEMBC 2016 Youth Media Conference will be held on Friday 25 November 2016 at Novotel Sydney Central, 169-179 Thomas St, Sydney. Click here for registration details. The theme for this year’s NEMBC Youth Media Conference is ‘taking youth issues to people in power’. 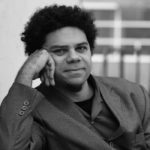 Miles Merrill – poet and founder of Australian Poetry Slam for seventeen years Miles Merrill has been the driving force behind spoken-word and performance poetry in Australia. He has hosted an ABC TV Special – Australian Poetry Slam 08′, wrote and co-directed a show in Sydney Festival, performed solo at the Sydney Opera House and created the spoken-word festivals – Night Words and Word Travels Festival. Merrill is founder of the national performing writers’ program Australian Poetry Slam. Watch this space! Subscribe to our e-News here for conference announcements. Live interstate and want to attend the conference? The NEMBC is here to help. There are many options available to get to Sydney from rural areas and interstate. Train services travel to Sydney from regional areas. Greyhound coaches travel to Sydney from many rural areas in New South Wales. Get a group of broadcasters from your station together and car pool. There are direct flights and coach services to Sydney from all capital cities in Australia. Thank you to the Community Broadcasting Foundation for supporting the 2016 Radioactive Youth Media Conference.